While I was working in Mexico, my wife Diane spends much of each day in an immersion Spanish class. She began by taking Spanish classes at a local community center. Now that she has the basics, an immersion class in which you have to operate in the second language is pretty effective. After two weeks of classes, the difference is striking; she now has the confidence for operating in simple, everyday conversations in social child-talk Spanish. She is determine to grow an oak tree from this acorn! There are few things that you can do that are better for an older brain than taking on a complex new challenge like this one. 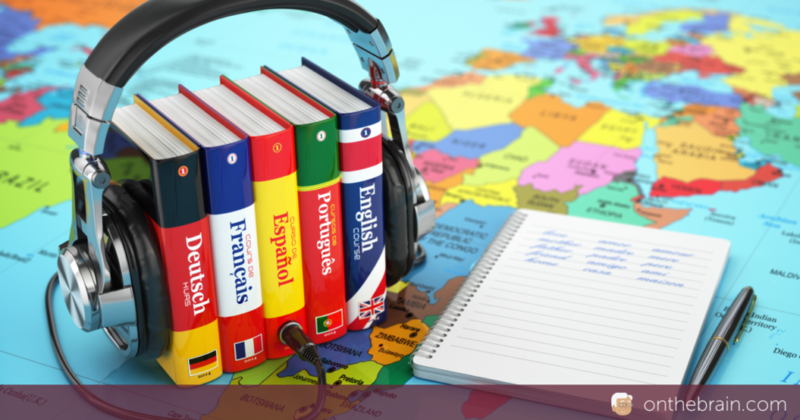 Learning a second language requires careful listening, and a heavy dose of new learning on all levels of perception, memory, cognition, and motor control. This is rich food for an older brain! And beyond the benefits to Diane, your blogger reaps the benefits of having a competent translator as a boon companion! And she’s cute, too!